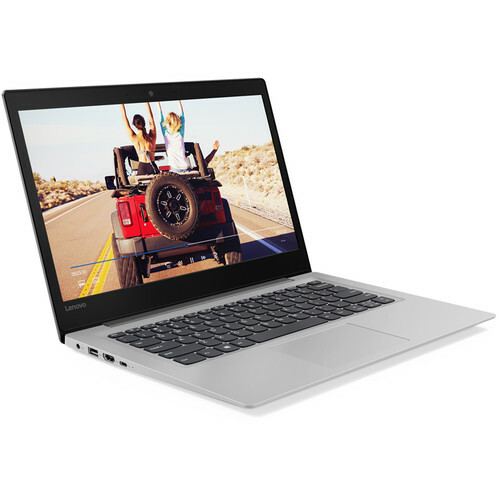 The 11.6" Ideapad 130S Notebook from Lenovo is a budget-friendly laptop designed for users looking to accomplish everyday tasks. Specs-wise, it's equipped with a 1.1 GHz Intel Pentium Silver N5000 quad-core processor, 4GB of LPDDR4 RAM, 64GB of eMMC storage, and integrated Intel UHD graphics. With these combined, this system can be used to browse the internet, compose and edit documents, stream online videos, and more. Other integrated features include 802.11ac Wi-Fi, Bluetooth 4.0, USB Type-A and Type-C ports, an HDMI port, a webcam, speakers, microphones, and a 3.5mm combo audio jack. The operating system installed is Windows 10 S, which is a slimmed down version of Windows 10 that can only utilize apps within the Windows Store. This laptop comes pre-installed with a 12-month subscription to Office 365. This suite of productivity software includes Word, Excel, PowerPoint, Outlook, OneNote, and more. Microsoft OneDrive is integrated with Windows 10 S, so you'll be able to save, access, and sync your files to the cloud. If you need certain tools or to run non-Store apps, you can easily upgrade to Windows 10 Home. Box Dimensions (LxWxH) 16.75 x 11.0 x 2.75"